Having assessed our gas situation we concluded that it is probably about time to end this trip. Without the lack of gas we would have gone back to Burgundy, but instead we decided to head north with a view to going home, maybe a bit earlier than planned. The GPS got set for Chartres, but it looked look incredibly busy so we carried on going towards Dreux, where we topped up on provisions. On we went to Honfleur, a place we know well. 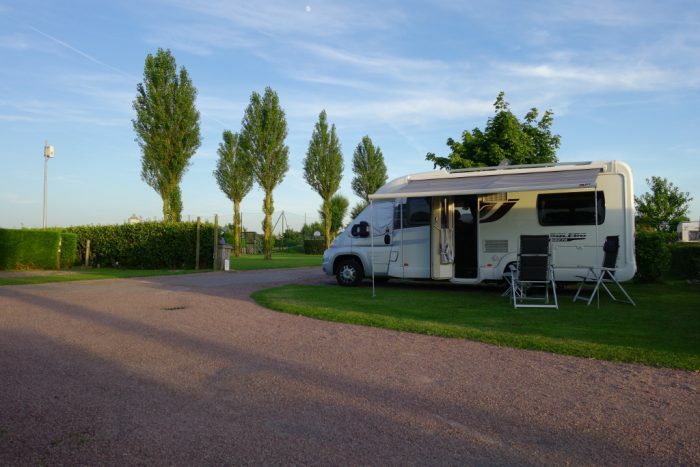 The campsite here has everything anyone could need, is on a bus route to lots of places, and is next door to a supermarket and wine shop. It is also sufficiently far north that we can get UK TV on Astra 2. Oh, great. We’ll stay here for a week and try to visit various local places on the bus. This entry was posted in France - Spring 2017 on July 5, 2017 by Kenny Mitchell.